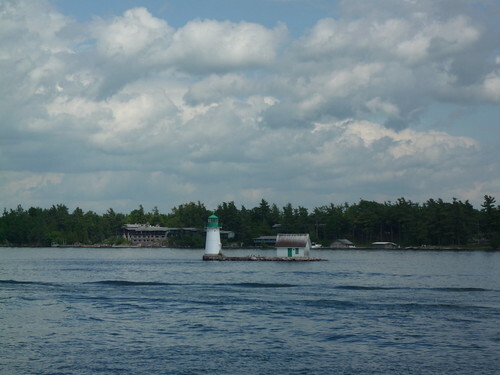 The Thousand Islands is a large cluster of 1793 islands that lie between the US-Canada borders in the St. Lawrence River as it exits Lake Ontario. 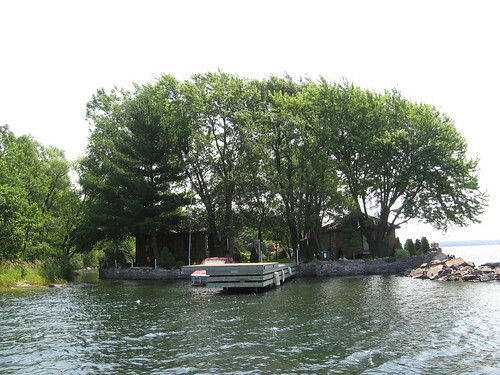 The Islands extend for about 80 km upstream from Kingston, Ontario till Cape Vincent on Lake Ontario. The river has a width of about 24 kilometres at its source near Cape Vincent which tapers to about 8 km by the time it reaches Kingston. 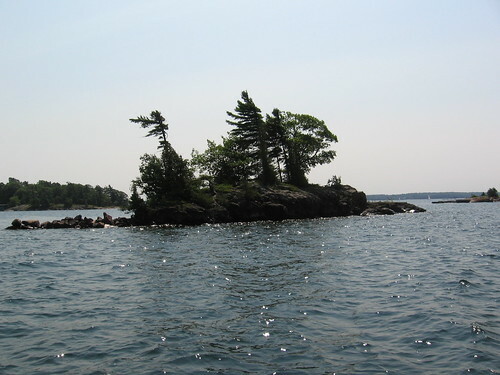 The size of the islands varies from about 125 square kilometres (Wolfe Island - 125 sq. km.) 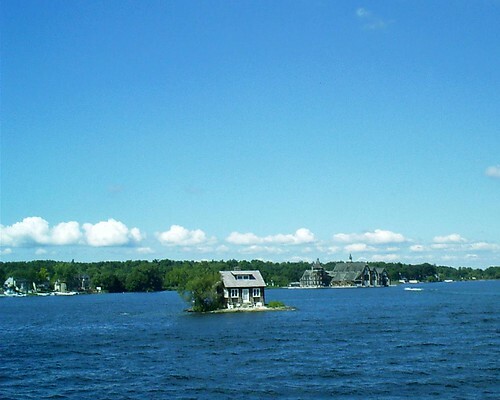 located at the entrance to the Saint Lawrence River near Kingston, Ontario) to small islands with space for just a single home and also small uninhabited rocks. 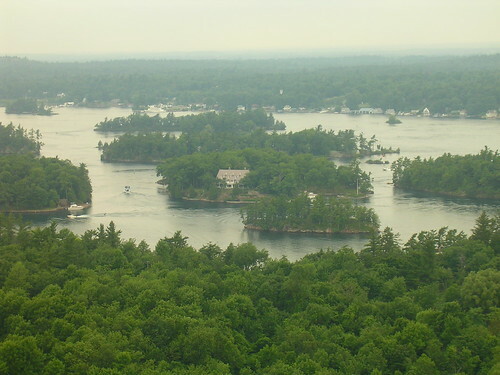 The criteria used to determine the number of islands is that the island must be above water level for whole year and should support at least one tree. 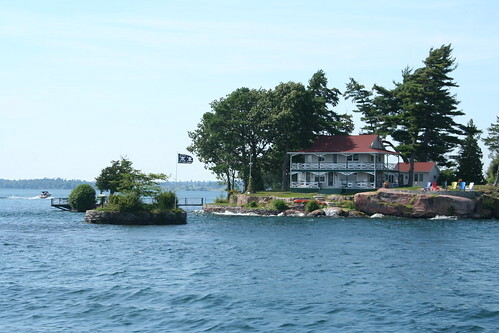 There are hundreds of beautiful summer homes and other buildings on the various islands and whole area known as "fresh water boating capital of the world" and is very popular among vacationers, campers, and boaters. 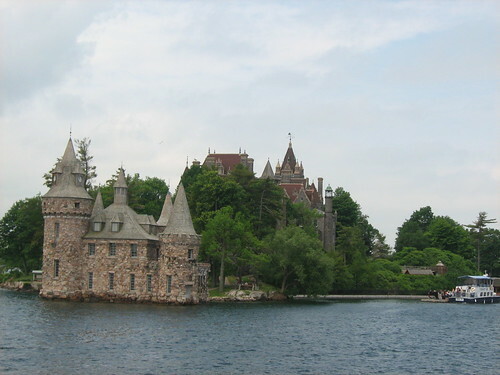 Boldt Castle located on Heart Island along the northern border of New York State, is a major landmark and tourist attraction in this region. 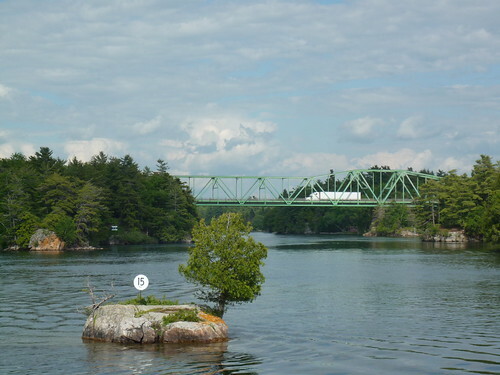 This small bridge has been erroneously reported to be smallest International bridge. 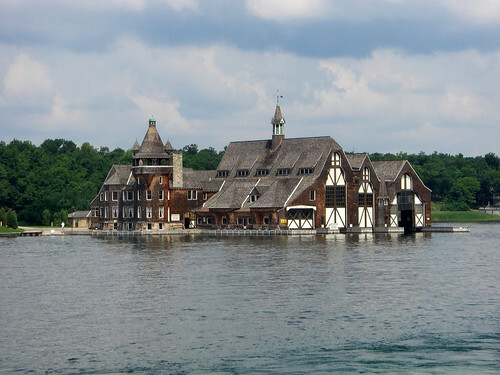 These reports claim that out of these two Islands known as Zavikon Islands, the bigger one is in Canada and the smaller one is in USA. This is not true. Both the Islands are in Canada. 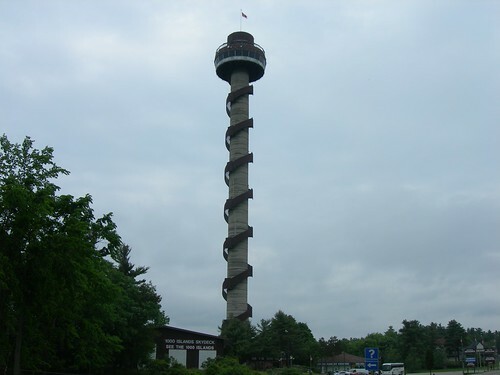 Located on Hill Island, Ontario Canada, the 1000 Islands Skydeck Tower with its three sky decks offer a beautiful panoramic view of the river and the cluster of islands. 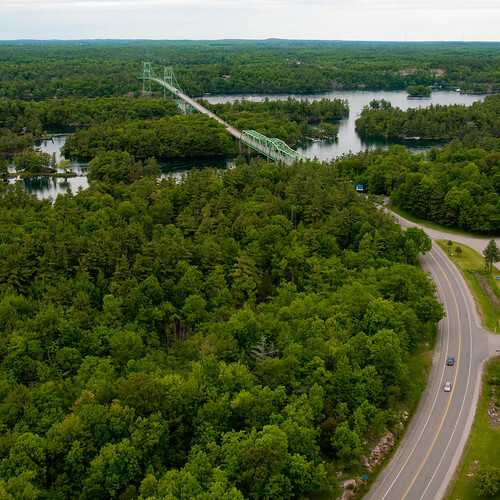 International Thousand Islands Bridge between USA and Canada as seen from the Skydeck. View Clickable Google Maps with Island markers. View in Google Earth - the islands in St. Lawrence Islands National Park, Ontario.